I am currently raising two Third Culture Kids. Not familiar with the term? It was coined in the 1950s by American sociologist and anthropologist Ruth Hill Useem to describe children who are growing up in a culture different than their parents’. 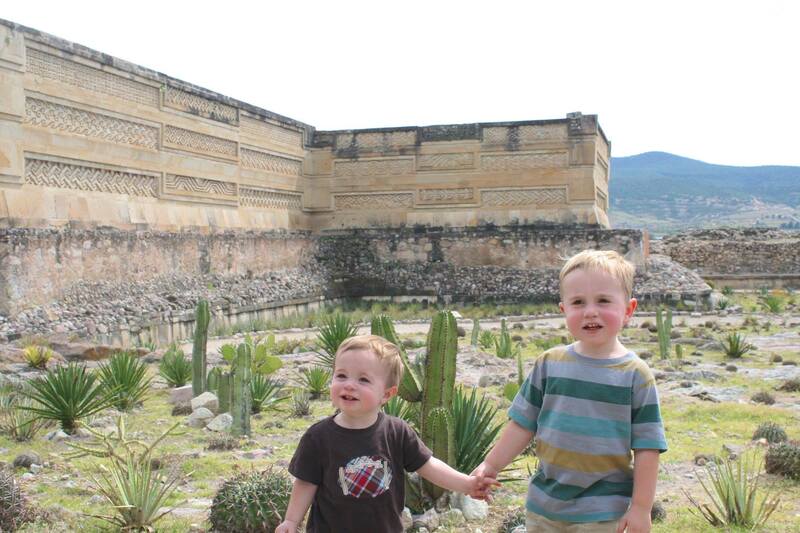 To be honest, with both of my children currently under three years old I have not spent a lot of time thinking about the impact our time in Mexico will have on them. I love that they can easily interact with both Mexicans and Americans with drastically different backgrounds with little thought to differences. I love that my almost three year old (how can his birthday be only days away?) can speak in both English and Spanish (although at this point his English is still much better). I love that my 14 month old knows both “hi” and “hola” as well as “bye bye” and “adios”, and claps and shouts “bravo” after a musical performance. I love the exposure they are getting to another culture and way of life. How many other American kids get to experience Halloween/Day of the Dead in the traditions of Oaxacan culture? How many toddlers and preschoolers will happily eat huitlacoche (go ahead, look it up) or flor de calabaza (squash blossom) on a quesadilla? How many have walked among the ruins of cities built by the Mayans, Aztecs, Mixtecs, and Zapotecs? My children are wealthy in cultural experiences. However, there is still a part of me that mourns for their lack of my American childhood experiences. They have never been to a pumpkin patch, uttered the words “trick or treat”, seen the rich colors of Autumn leaves, or jumped in a big crunchy pile of them, and they have yet to touch the cold frostiness of a snowman. Yes, they have many years of life ahead of them to experience these things. And I doubt they will ever fault me for the lack of these things in their early childhood. Their early years are simply different than so many others’. Different than mine. I hope that they will be able to draw upon the richness of these experiences for years to come. what you’re giving your kids now (in my own humble opinion) is priceless. Also I read somewhere that intelligence goes up the more they interact with ethnicities not their own. Also – I didn’t rake leaves, touch a snowman or go to a pumpkin patch till I was 13 – and I grew up in Florida! :) I do hope my children get to experience the deep richness of other cultures like yours are. And, I’m sorry you’re missing fall this year again – I know you love it so…missing all four of you!